It’s common knowledge that most of us love to travel, and although most of us would also love to travel more than what we’re probably able to nowadays, we live in an age where the internet and things like social media actually make it easier for us to travel the way that we want to whilst also being able to make money at the same time, whereas 15 or 20 years ago this was seen as something that was quite impossible or at least very difficult and certainly not to the same scale that it is today. Over the last 10 years, especially, the rise in people becoming what are known as digital nomads where they live around the world and make money on their own terms is something that has become increasingly popular, and you find digital nomads in all corners of the globe all making money in different ways whilst pursuing their love of travel and not living in one particular place, but simply moving around from country to country whenever the mood strikes. 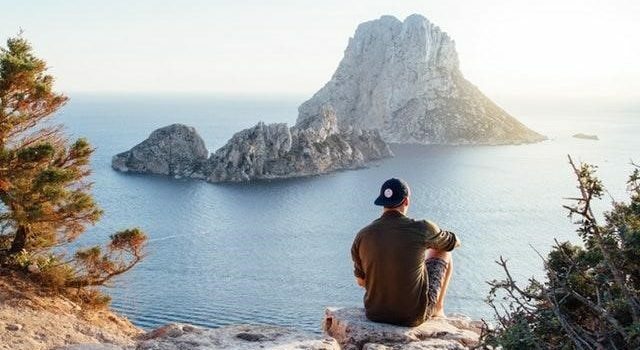 If you’re someone who would love to have this kind of lifestyle as well, but you simply don’t know how to go about getting started, then in this post we’re going to share with you exactly how you can do that by sharing with you some of the ways that you can make money as you travel the world. When it comes to being a digital nomad and making money by travelling around the world, you’ll see that most people are typically running an online business – the great thing about an online business is obviously that you can do it from anywhere since it’s completely based online and really the only thing that you need is a reliable Wi-Fi connection, and whilsy you do need for the most part, a laptop depending on what your business is, you can typically always get away with using your phone if it’s a smartphone for the vast majority of your work, but of course it also depends on what your business is, and if you set up things like automation and systems in your business, then you can basically have your business run in the background whilst you enjoy the benefits of being able to travel on your own schedule and when you decide. Some of the main businesses that people have when they are digital nomads can involve things like freelancing, setting up an online store, or even doing things like affiliate marketing, blogging or dropshipping, however these are just some of the online businesses that people choose to have whilst being a digital nomad and there are literally an endless amount of options that you can choose from, so it’s really just about what you feel is the right business for you and what you know can make money for you. If you’re not quite thrilled about the idea of running your own business or it’s just not something that you feel ready for at the moment and don’t really want to travel full time, then you can still travel around different places and make money as you go by doing odd jobs. There are plenty of places online that you can look and register to find jobs in different places when you’re travelling through, and depending on your skill set you can make some pretty good money doing it this way, for example, you can do some gardening or construction work and if you do want to put in a few days of construction work somewhere when you’re travelling then you can just have a look online for construction labour hire sites or reach out to construction companies in the area in which you’re travelling to see if there is currently anyone hiring. Other jobs you can do include doing any handy work around someone’s house and pretty much anything that you can really think of that would get you some cash in hand for the day or a few days. A bit like odd jobs but slightly more above board and for a longer time frame are things like seasonal jobs which are great for travellers who are planning on staying in a place for perhaps a few months and then moving on, so for example a seasonal job could be working in a hostel or a hotel during the busy season of the year. You could also ask about working in restaurants, or even doing things like working as a tour guide and guiding other tourists and travellers through the place in which you’re living, as this is a great way to make money to learn more about the culture and also meet lots of interesting people from around the world – again you can look on many different websites to find seasonal jobs in the place where you’re going or you can simply just walk into places and ask if they’re hiring, since they will either let you know straight away if they’re hiring and if they’re not then perhaps they will give you some tips for places that they know are going to be hiring. 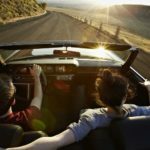 Seasonal jobs are usually pretty easy to come across, especially in busy areas and more popular destinations like cities or coastal towns. If you have your own property back home and you’re planning on travelling for a while perhaps more than six months or a year, then a good solution could be for you to rent out your property during this time as a way to make sure that you’re not only covering your payments that are due on your property, but that you’re able to make money as you go. A good place to do this would be perhaps by letting it out on airbnb, or even subletting it for that time. If you’re going to be away for a longer period, then you could also look at perhaps selling your place, but it’s always good to have something to fall back on if you decide to come back home, so renting it out it’s probably the best way to go until at least you’ve decided on where you’re going to settle and if you’re going to come back or not. Another excellent way to make money when you’re travelling is by teaching English – of course you can also teach other languages if your native language is not English or you feel confident enough in your fluency abilities to be able to teach a language correctly, but there are so many people around the world who are looking to learn different languages and this can be an amazing way to really pass on some knowledge and wisdom to people and be able to make money on the side. English teachers and tutors, for example, those hired by parents for younger children can really make quite a lot of money, and the great thing about it is because it’s so flexible you can really work on your own terms, your own time frame, and you can also charge what you feel is appropriate for the level of skills that you have so if you’re looking to make money whilst you’re travelling, then this could be one of the best ways to do this. Teaching English can be done, for example, as a freelancer where you just work for yourself and work with some private clients as you go in different places, or if you’re planning on staying in a place for longer, then you could even get a full-time or part-time job to stay in that country and you could even find yourself getting extra benefits such as being able to apply for a resident permit or visa that will allow you to stay in teaching within the country full-time if this is the route that you want to pursue long-term. Childcare is another great way to be able to make some money and travel at the same time. Similar to teaching English, you can work for private families who want to have someone qualified and trustworthy to care for their children a few days per week or even full-time, or you can work for places like schools and childcare facilities. Often you will require some kind of qualification or experience, but this is always depending on the place and the family, and again you can have this type of work tied to a visa or you can do it more flexibly and have it be the kind of work you do as you go. However, to work in childcare it’s definitely important that you have a genuine passion and interest for teaching and caring for children since this is a big responsibility and parents have to know that you can be trusted with their children – it’s a great experience really all round since you get to meet children from different cultures and they get to learn something from you, for example, you could teach them your language or different parts of your culture whilst also caring for them.